The dust-filled wastelands of the dry sea beds of Barsoom. The menace emanating from every leaf in Arboria on Mongo. Hungry tigers in a still-dark African wilderness. The moon reflecting off the surface of the wine-dark sea at night during a full moon, and that same depth seen in the jet-black opal eyes of the sea siren now holding you as her prize aboard her ship. Wonder and terror, too often too close together, but not often seen enough these days in the stories told to us in our media. Just as Romance and Escape are ruthlessly run down and then run through by the killjoys seeking to keep Mankind in a prison invisible, so too is Wonder. Terror, to a degree, is allowed only because it is useful to those John C. Wright correctly calls "Morlocks"- and once expended of use, it too shall be pitted and roasted to be consumed utterly by them. If you've ever seen Equilibrium (or read the dystopian fiction that it distills into a watchable summary). then you know the score: a non-culture of brutal, joyless, grey and (sometimes) brown where your opinion had better be what the State says it is Or Else. It's the Rabbit Warren From Hell. Nope, we're not having that. Wonder is the way that Truth and Beauty manifest in storytelling. By taking the time to create images and moments that transcend the ordinary world, both that of the reader and of the characters, we make something miraculous out of this narrative craft. This wonder got seriously depreciated over the last few generations in the West, but it's still got people capable of achieving it, and in the East they've never lost that sensibility. If you're looking for a clear mark of differentiation, there we are: Wonder. We have it, seek for it, and cherish it when found. They hate it, avoid it, and seek to defile and destroy it when encountered. 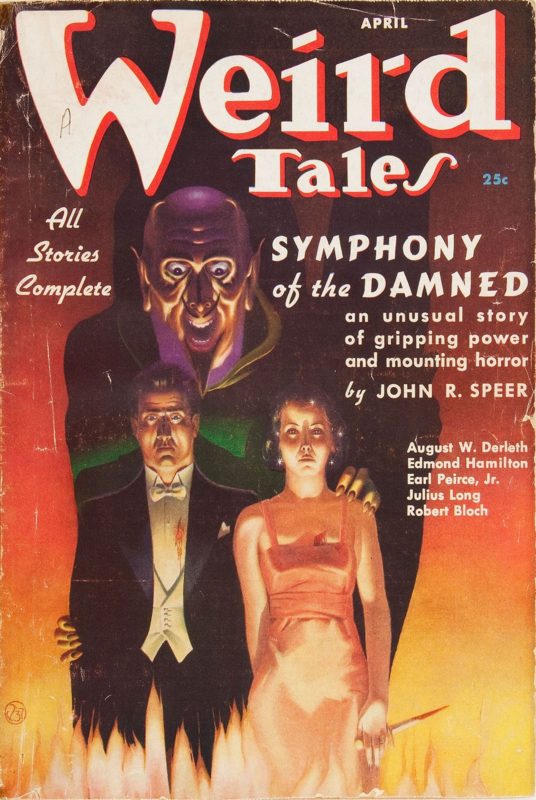 The pulps worked wonders with Wonder, creating icons that endure well past the demise of the old days. The only reason those days died is due to entryism leading to editorial shifts, something we don't have to deal with now. We're bringing Wonder back, gang. It's something they can't counter, and they know it. They might as well rage against the Gates of Heaven for all the good it will do them. Whereas companies named after "wonder" like Marvel not only no longer care, but actively eschew wonder. Your opening paragraph is top notch and a perfect foil to the progenitors of the Wonderless. SJWs are determined to poison Wonder with as much of SJW Twisted Unreality as they can muster. We approach the Singularity, where not even the Normies can ignore the destruction SJWs have wrought to Western Culture and Civilization. Best timeline!